Press release from ATRA strategic partner Collegiate Running Association. 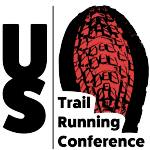 The Collegiate Running Association is excited to announce it has extended its Association Partnership for the 2018 US Trail Running Conference to be held August 29-31, 2018. The Conference is presented by the City of San Luis Obispo, CA, and Race Roster, the fastest growing endurance registration website in North America. 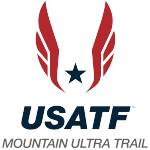 The sixth annual conference is for trail runners of all levels, trail race directors, and sponsors and exhibitors, and is held in partnership with the American Trail Running Association, and Race SLO. 2014 Collegiate Mountain Running Champion Morgan Arritola wins the big check. Trail Running continues to see exponential growth across the U.S. and is poised to become one of the most popular outdoor active pursuits in the United States. 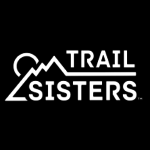 Established in 2013, the US Trail Running Conference, whose mission is to lead, educate, connect and empower an inclusive tribe of trail runners, race directors and industry leaders working to share best practices with the trail running community, is dedicated to a growing and dynamic segment of the sport of running. Collegiate Running Association founder Steve Taylor interviews Patrick Smyth. For Race Directors, expert panelists lead sessions on key topics to enable Race Directors to manage successful and sustainable Trail Races. The 2.5 day event also features two networking evenings and expo with sponsors and exhibitors that include registration platforms, apparel, race director supplies, timing services, headwear, nutritional products, awards and medals, and custom inflatables. The Collegiate Running Association is a 501(c)3 non-profit organization founded November, 2013 with a mission to promote healthy lifestyles among college students by providing and expanding opportunities in the sport of running. Over the past 4 years (2014-2017) over 11,000 college students from across the U.S. have participated in Collegiate Running Association National Championship events. Since 2014 seventeen Collegiate Running Association members have qualified for 53 U.S. National Teams. And since 2014 the Collegiate Running Association and our race partnerships have awarded over $80,000 in prize money and travel specifically to college students.